Zac Brown Band are once again ready to blow fans away with the continuation of their Down the Rabbit Hole live tour in 2019. 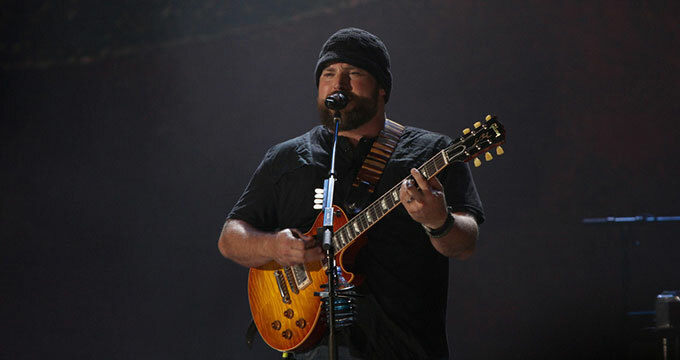 Over the years, Zac Brown band are known to be a talented and dynamic group of musicians who have achieved tremendous success in the music industry. The most prominent being the winner of 2010 Grammy awards for the Best New Artist. The band began with Zac Brown in 2002 and since then, quite a number of notable people have joined him such as bassist John Hopkin, Harmony Singer Jimmy De Martin, drummer Christ Fryer amongst others. They have released series of albums such as "Home Grown" in 2005, "You Get What You Give" in 2010, "Uncaged" in 2012 and many others. The band has undergone various tours, and the most recent is Down the Rabbit Hole concert tour. The name was derived from the popular idiom "down the rabbit hole" which means to stumble into an unusual and disoriented situation that is difficult to come out of. The purpose of the tour is to thrill and entertain fans by providing live music at its best and at the end, the fans should be able to get satisfaction with a time well spent. According to the schedule, the concert tour started on the 8th of June, 2018 and it is going to span till 2019, precisely 27th of April. The plan is to begin the tour at the city of Lincoln which is the capital of Nebraska, a state in the U.S and to conclude it in Peoria, Illinois. The show at the opening night was sold out quite early, and also the second tour date on June 23, 2018 was reportedly sold out too. This marked a milestone achievement for them because it broke a venue record of 8 consecutive sold out concerts by the Zac Brown Band. There are going to be shows at some of America’s notable baseball parks such as the Fenway Park, Hersheypark stadium, Sun Trust Park, Great American Ball Park and a host of others. This is to provide opportunity for a large number of people, say millions to participate in the excitement that this 2019 Down The Rabbit Hole Live tour brings. Participants at the opening night at Lincoln commended the choice of songs performed and the charged up atmosphere that came with their performance. Some concert setlists that came from the opening night at Lincoln includes "Keep me in my mind" released in August, 2011, "As She’s Walking Away" which featured a guest vocalist Alan Jackson and won the Grammy Award for "Best Country Collaboration with vocals" at the 53rd Grammy Awards. Also songs like "Sweet Annie" and "Next to me" were performed. Who is touring with Zac BrownBand? In order to experience the feeling that comes with a live performance particularly, from the Zac Brown Band, it is good to attend any of the concert dates. The opportunity to meet members of the band is not always available except in concert and tours like this. Therefore as a fan, you stand a chance to see all members of the band live. The concert schedule would feature support from opening acts, from One Republic, a pop rock band and also a retro blues legend, Leon Bridges. Zac Brown and his band are known to deliver awesome performances and shows overtime and Down the Rabbit Hole 2019 Tour is not an exception. Fans from various cities across US have waited for this opportunity to finally watch the band live and it is going to be an unforgettable experience. The feeling attached to being present at any of Zac Brown Band tour dates scheduled for the concert is surreal, and should not be missed for anything.